A study in the June 14th, 2000 issue of the Journal of the American Medical Association (JAMA) reported that sunscreen reduces the formation of moles in Caucasian children, especially children with freckles. The study included 458 white children. 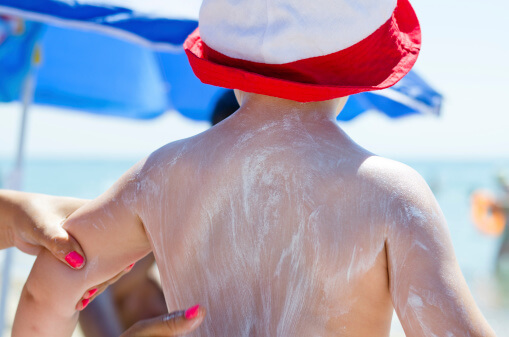 Parents of half the children were instructed to apply SPF 30 sunscreen to their children whenever they were expected to be in the sun for 30 minutes or more. These children were then followed for 3 years. They developed significantly fewer moles than their peers in the group who received no sunscreen instructions. I suspect that a longer study would have shown a protective effect in other children who don’t develop moles as quickly as fair-skinned children with freckles. Most moles are benign, but half of melanomas do appear in moles.